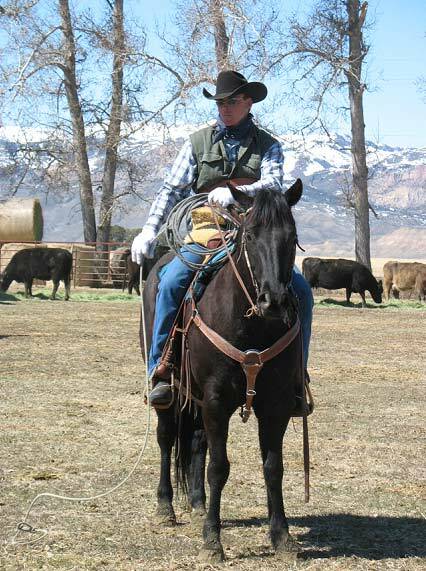 Corey McGregor has worked with Wyoming Custom Leather for the past 5 years. While apprenticing under Randy Krier, Corey learned the craftsmanship and skills needed to produce quality handmade leather cell phone cases, chaps and chinks, and custom orders of all kinds. Everything is are made of the finest leathers to exacting standards and built tolast. In the Wyoming Custom leather tradition, Corey prides himself on making a product the customer will appreciate, and that he can be proud of. 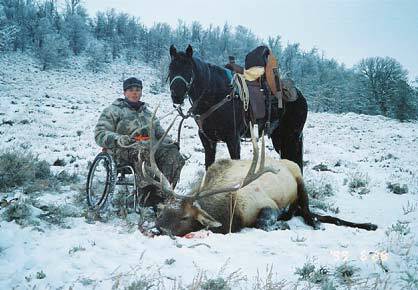 A Wyoming native, Corey enjoys an active lifestyle in the West. He is an avid outdoorsman, and thoroughly enjoys horseback riding, working cattle, and all types of hunting. Theres a code of quality born in the West that makes no compromise. It goes way back to the days of a mans word and a handshake . . . back to the kind of good, honest workmanship a man could be proud to put his stamp on. 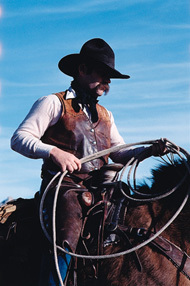 Randy Kriers experiences have shaped a knowledge of what the horseman (or western afficianado of any kind) wants and needs, resulting in quality custom made leather products that have become known and appreciatednot only in cowboy circles, but also by discerning people from around the country who appreciate the real West and its own brand of style. Quality can be easily compromised when mass production and profit margin become the main concern. Thats why its understood that our custom made leather products come satisfaction guaranteed. Youve got my word on it.